With a new year just around the corner, the question for many companies is how do we continue to stay relevant, leverage new innovations and grow in the coming year? As each January brings new uncertainties and the world continues to advance around us, each company is faced with crucial decisions of where to invest, hoping to set up long-term success. Technology and innovation will always be an area of investment for long-term growth, but more specifically, advancements in cloud, data management and data compliance will drive growth in 2019 and set the foundation for future success. As we push toward the new year and setting plans, here are four predictions at the heart of how these technology trends will continue to help shape organizational structure and optimize business operations. The adoption of streaming data capture from the internet of things (IoT) and sensors, data governance policies, security standards, expanded data curation and compilation and widespread adoption of artificial intelligence (AI) and machine learning have made it impossible to rely completely on on-premises solutions. Technologies such as AI, machine learning, and analytics thrive in environments with expansive amounts of data and compute abilities beyond those available in on-premises solutions. These trends greatly favor cloud-based arczhitectures, and as vendors offer more advanced solutions available on-demand, the move to cloud will only increase. Serverless architecture will drive down costs even further, and I would expect hybrid to become more popular with pushes from VMware and Amazon Web Services (AWS). Online marketplaces will shift spending from offline distribution and vendors, and resellers will increasingly adopt digital VAR-like models. Machine learning and AI will continue to rise in adoption and increase the allure of cloud computing. Because of these technologies, public cloud will become the de-facto choice for developers. The ability to protect data and restore backed up files are no longer ‘nice to haves,' they are table stakes for enterprise business solutions. Data has become the fuel for company success, driving insights, customer targeting and business planning and even training AI and machine learning models. Any way to extract additional value from it is critical to business success and the shift to data management is key, where data is not only protected, but properly archived, easily searchable, can be leveraged for analytics, and is compliant the entire time. Data management is no longer simply a consumer vs. corporation battle, it has quickly elevated to the country and federal level. In the wake of GDPR, others are using it as blueprint to enact more stringent compliance standards. The California Consumer Privacy Act goes into effect January 2020 and we should expect to see more of the same in the coming years. Such regulations mean company obligations will become more complicated and will need to meet new standards. Having the flexibility and scalability to store data within specific regions will become a key buying consideration and increasingly favor cloud deployments over on-premises solutions. As we look to 2019, the pace of innovation will only continue to accelerate. Enterprises will increasingly push the envelope to different themselves, using the latest technology innovations, in an increasingly competitive and crowded marketplaces. The cloud, and cloud-based technologies, will be at the foundation of tech innovation for the foreseeable future, and those who are able to best leverage it for business transformation will be the companies that rise to the top. Prem has over 15 years of experience in product management and marketing. He has a proven ability to successfully create, launch and scale products, and at Druva he's responsible for driving product vision, strategy and execution. 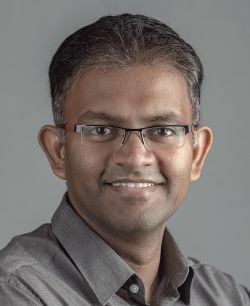 Most recently, Prem was a senior executive at AppSense (acquired by LANDESK), where he was instrumental in expanding the company's addressable market through innovative products in the data management and analytics space. He has also held product management leadership roles at Juniper Networks and Cisco Systems, where he successfully managed multi-million-dollar product lines and businesses.